It’s almost February, which means that we re getting ready for one of our favourite days of the year: St. Valentine’s Day! In order to join in with this celebration of love, we’re holding a competition on our Instagram page, instamyvilla. 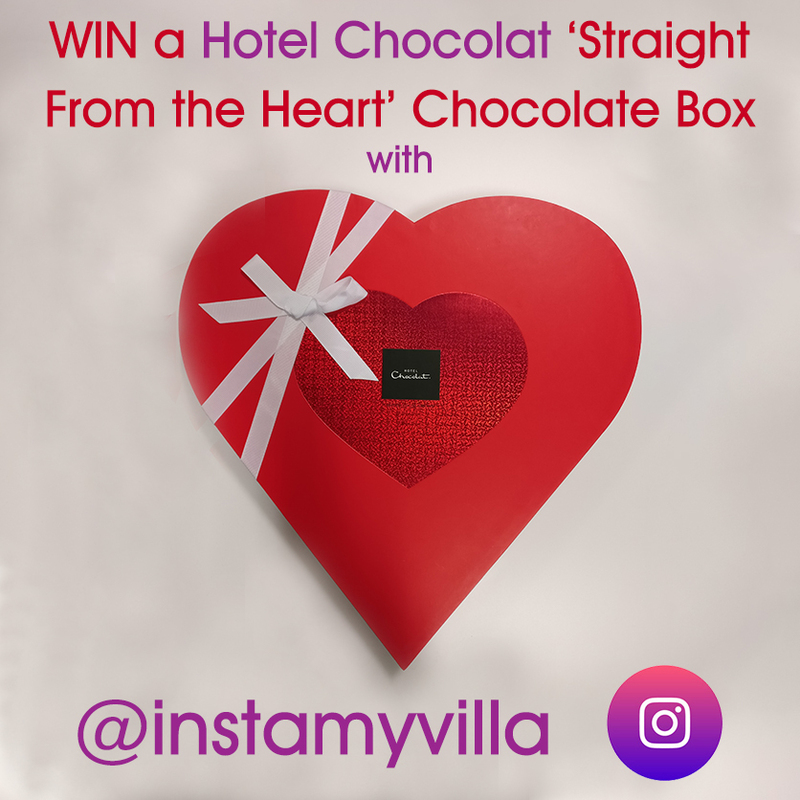 If you want to win a Hotel Chocolat ‘Straight From the Heart’ chocolate box, all you have to do is follow us on Instagram, like our competition post and tag someone you love. Whether this is love for a family member, friend, or partner, feel free to tag them and enter! Love comes in many forms, and we believe in letting close ones know how much they mean to us. We also really enjoy the history behind Valentine’s Day. St. Valentine is thought to have once been a Roman priest in the third century, who helped those in love to wed in secret, despite the authorities forbidding it. Eventually, he was imprisoned by a noble, during which time he healed the blind daughter of his captor. This caused those in the noble’s household to convert to Christianity, which only made matters worse for Valentine. He was then tortured and decapitated on 14th February, but just before this, he managed to send a note to the girl he healed, signed ‘Your Valentine’. That is one version of the St. Valentine story. This, and other explanations, can be found on the History website. It’s certainly one of our favourites, and we love having such a heart-warming holiday to look forward to, during these colder months. Our competition began on 18th January, and will remain open until 13th February. We will then choose a winner at random, and announce the result across our social media pages on 14th February. Full terms and conditions for our competition can be read here. Good luck! This entry was posted in Competitions and tagged Competition, Valentines day. Bookmark the permalink.